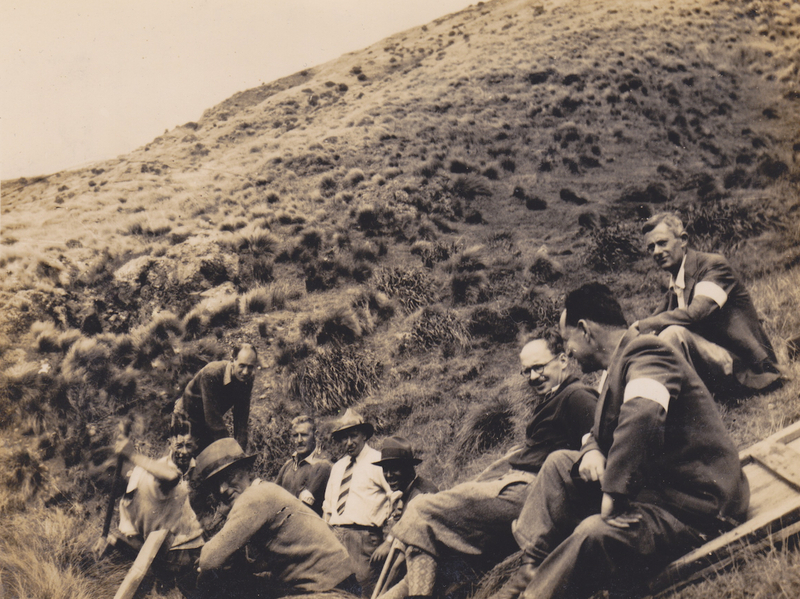 Members of the Makara Battalion, New Zealand Home Guard, take a break in the hills above Ohariu Bay, Makara, 1942. They are, L to R, Fowler, Bridge, Bull, Welsh, Milwood, Hall, Elice, Rhodes (above) and Hertzfield (below). Several of the men are wearing their Home Guard armbands – an example of which, from a member of the Makara Battalion, survives at the National Army Museum Te Mata Toa. Lemuel Lyes Collection.